Today, we cover the oddly amazing history of food during various World’s Fairs (or however you pluralize it). Lots of foods have made their big league debut at expositions, and let’s see how you do! 1. What Milwaukee-founded beer has advertised with the slogan “America’s Best in 1893”, on account an award during the 1893 Columbian Exposition in Chicago? 2. Name this bovine, seen at the 1939 World’s Fair in New York. 3. Professor and fruit specialist J. T. Stinson is credited with coining what phrase about a certain nutrition practice during a presentation at the 1904 World’s Fair in St. Louis? 4. While also popularizing the waffle cone, the 1904 World’s Fair popularized the 23 flavors of Dr Pepper. The drink had been created the drink 20 years prior by pharmacist Charles Alderton in 1885 in what Southern city? 5. Henri Soule and Pierre Franey were important figures in what New York City restaurant, which opened in 1941 after previously being an exhibit at the 1939 World’s Fair. The restaurant would close in 1966, but the restaurant popularized French food in the US. Learned League precedent (LL67, MD10) – An invention by Charles C. Cretors in Chicago in the late 19th c., introduced at Chicago’s Columbian Exposition in 1893 and essentially a modification of a peanut roasting machine, marked the beginning of the commercial history of what snack item? 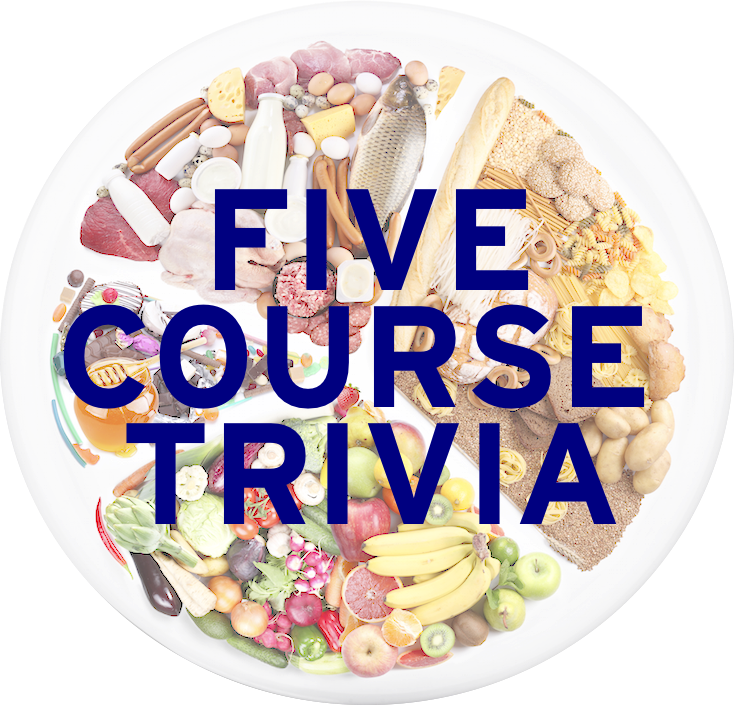 Tomorrow: Five questions on the five mother sauces. Tres chic!